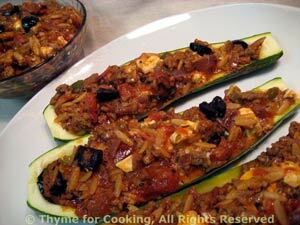 Thyme for Cooking Dinner tonight: Zucchini stuffed with Beef, Feta and Olives. 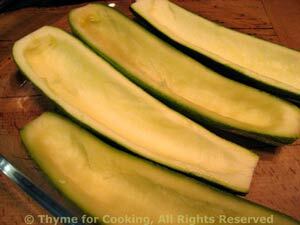 Another stuffed zucchini. Baking the 'shells' first helps them get cooked through and shortens the total time. This should finish the feta.